My husband and I will be sending our thank you cards shortly. It’s a great time to send those last few gifts that I meant to hand deliver to people at the wedding (because I am crazy) but didn’t manage to finish in time (because… wedding). 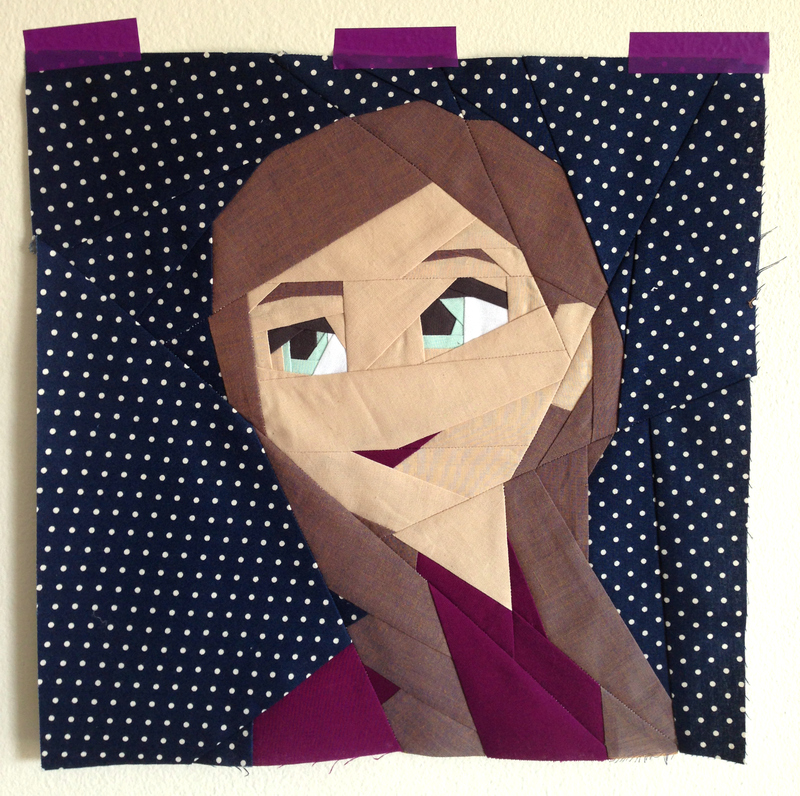 One of these finally-finished WIPs was a set of paper pieced pillows for my two youngest cousins. I can just imagine the two girls curled up together with their pillows, watching the movie “one more time” and singing along. Hope these are a fun surprise before the holidays! 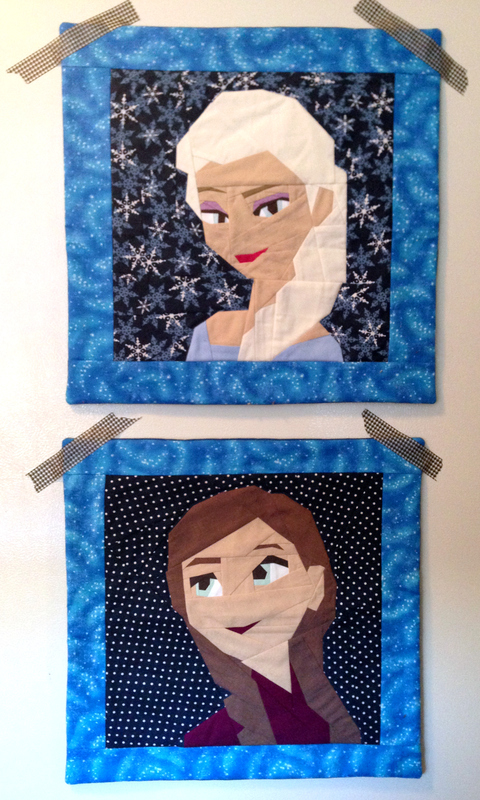 Both quilt blocks are available for FREE on Craftsy. Visit Sew Much Mischief’s shop. 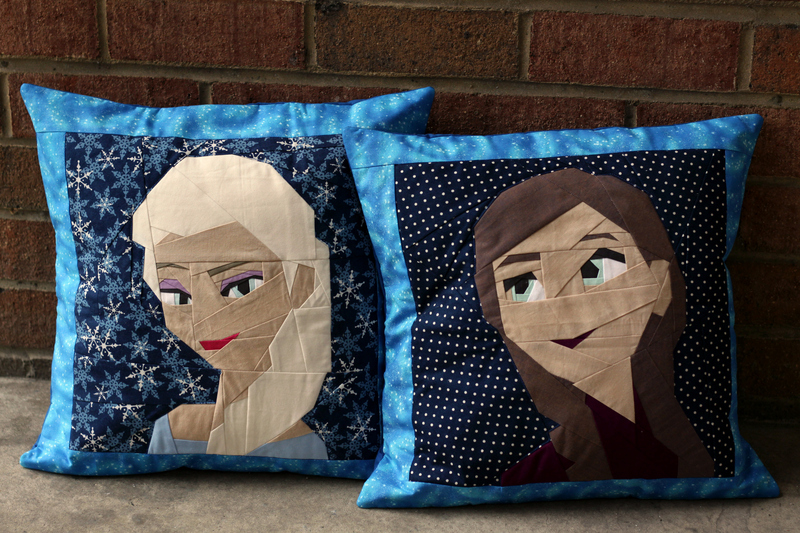 Categories: Quilts | Tags: anna, anna & elsia, anna quilt block, craftsy, disney, disney's frozen, elsa, elsa & anna, elsa quilt block, free frozen quilt block, free quilt block pattern, frozen, frozen quilt block, gift, quilt block, sew much mischief | Permalink.